Krauser (RE4). 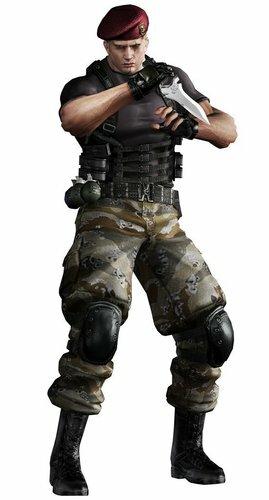 A powerful soldier who is working to bring back Umbrella..... what a dumbass.. HD Wallpaper and background images in the Resident Evil club tagged: resident evil 4 enemies krauser. Naaaa once you get the fight down...it gets easier. Sadlor was a joke in comparison to all the prebosses in that Resident Evil series. I love challenges though of course! Bring it on.